18 carats yellow gold star and zirconium oxide nose piercing. 18 carats yellow gold openwork star nose piercing. One white claw-set zirconium oxide. 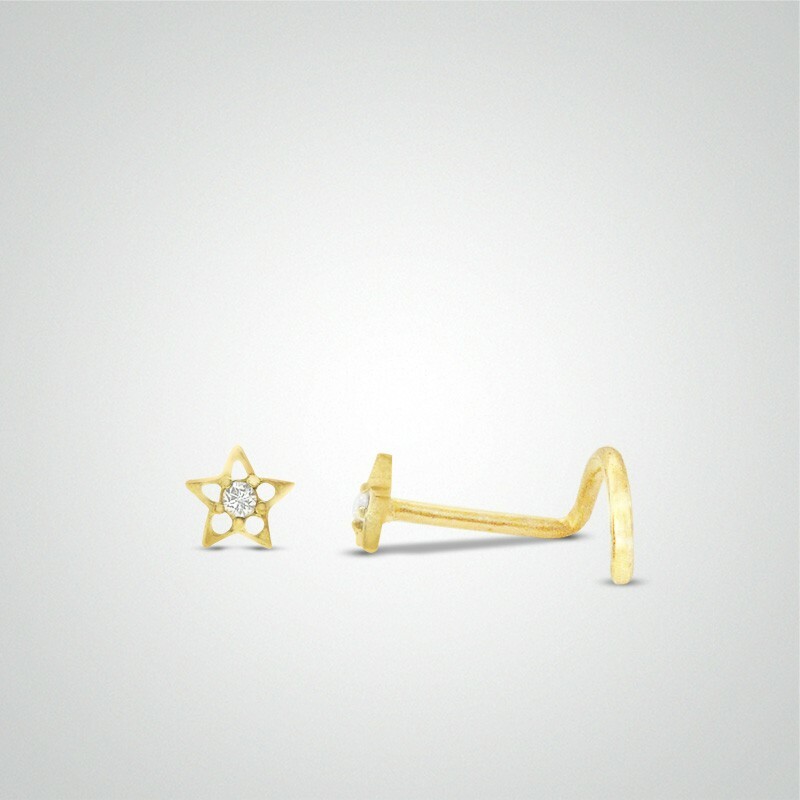 This star nose stud piercing comes with a certificate of authenticity.